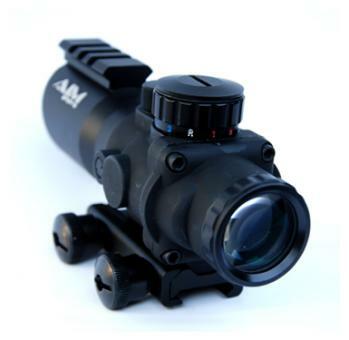 Put an AIM Sports Dual Illuminated scope on your firearm and your target will be in trouble! Customizable with 3 separate red, green or blue settings, this 30mm dual illuminated, rapid ranging scope assures you of clarity, durability and accuracy. On the range or in the field, you’ll find your mark with this quality scope.